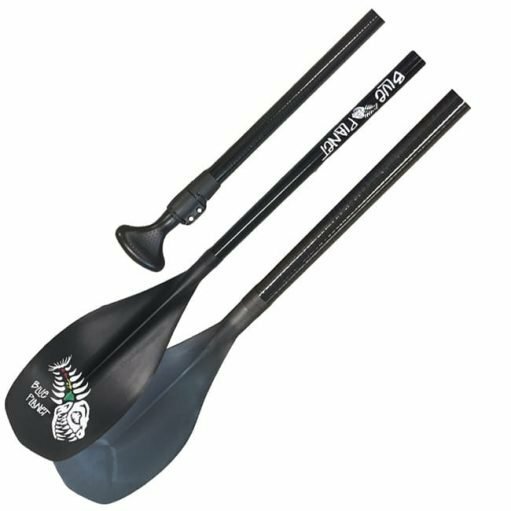 Injection molded fiberglass re-enforced ABS blade, handle and fiberglass shaft with easy adjustment system makes this paddle very durable and a good choice for beginners, families and rental fleets. Level clip adjustment system has numbers that make it quick and easy to change heights between different paddlers. Fiberglass shaft is light and has a forgiving flex. Weight is 1kg and adjustment range is between 67″ and 84″ (170-210 cm). Available in 2 piece adjustable and 3 piece adjustable in black fiberglass.